These mini die & embossing sets are perfect for card making, planners, gift giving, scrapbooking, and more. Their unique design makes cutting & layering simple. Compatible with Sidekick, BIGkick, Big Shot & Vagabond machines. 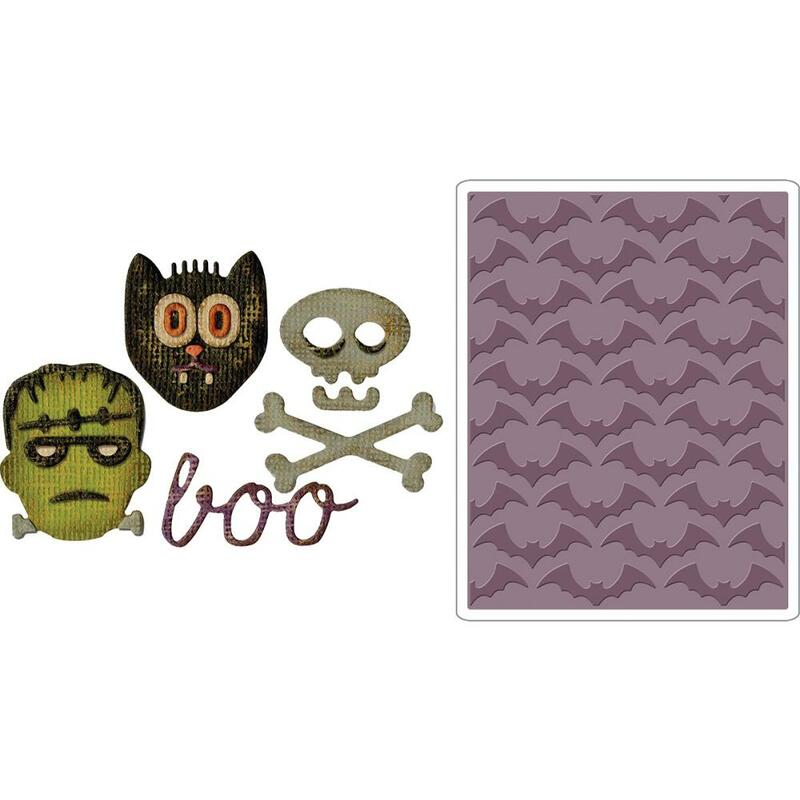 This package contains Halloween: a set of four metal dies measuring between .125x.125 inches and 1x1.25 inches and one 2.875x2.25x.125 inch embossing folder. WARNING: Choking Hazard. Not suitable for children under 3 years. WARNING: May contain items with sharp edges. Handle with care. Imported.